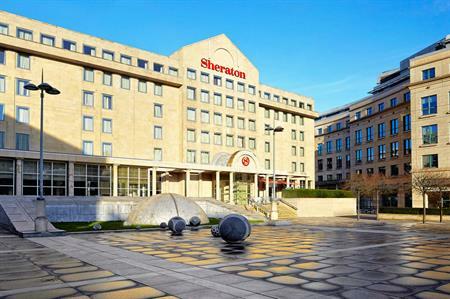 Starwood Hotels & Resorts Worldwide has launched its new luxury brand Sheraton Grand in ten international cities, including Edinburgh. The brand recognises Starwood’s ‘premier tier’ Sheraton hotels with high level design, customer service and guest experience. The first ten Sheraton Grand properties include Sheraton Grand Edinburgh Hotel, Sheraton Grand Bangalore Hotel, Sheraton Grand Beijing Dongcheng Hotel, Sheraton Grand Hotel, Dubai, Sheraton Grand Rio Hotel & Resort, Sheraton Grande Ocean Resort, Sheraton Grande Sukhumvit, Sheraton Grande Taipei Hotel, Sheraton Grande Tokyo Bay Hotel, and the Sheraton Grande Walkerhill. Starwood expects to have 50 newly designated Sheraton Grand hotels around the world by year-end, with plans for 100 by early 2017.